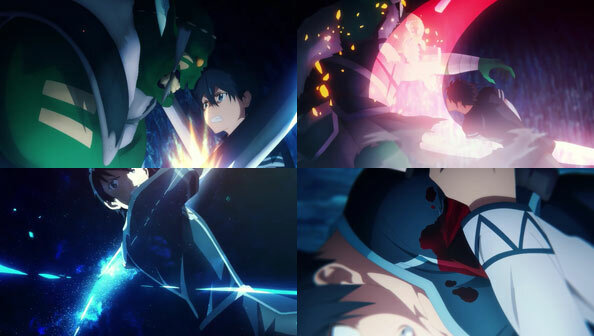 It took three episodes and the absence of a designated Goblin Slayer, but Sword Art Online: Alicization finally got around to showing some decent Sword Arts when Kirito goes up against the head goblin holding Selka captive. The fight is as fast and brutal as the animation is smooth, silky, and stylish. But when he’s nicked by his opponent’s blade, the pain is unlike anything he’s experienced in any VRMMO, and it slows him down. 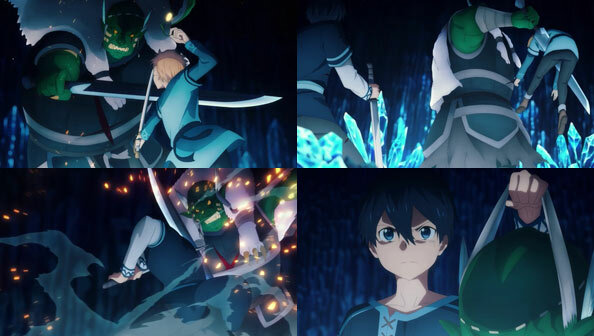 Eugeo freezes a lot early in the fight, but when it’s clear that he and Kirito and Selka aren’t going to get out of there alive unless he joins the fray, he summons enough courage to draw his sword and cross blades with the boss. He only buys Kirito a bit of time before he is near-mortally wounded across the midsection, but it’s enough for Kirito to recover, take over, and use another one of his latent Sword Skills to behead the goblin, threatening the others away unless they wants some. Selka is none the worse for wear, but she and Kirito must put their lives on the line with a high level Sacred Art in order to save Eugeo, who recalls a memory of Kirito being with him and Alice six years ago. 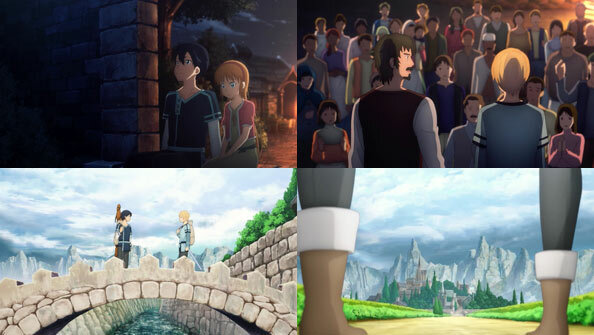 As Kirito can feel his vitality draining into Eugeo, he has a vision of Alice behind him, telling him she’s still waiting for them atop the cathedral in Central City. The healing is a success, and the three return home. 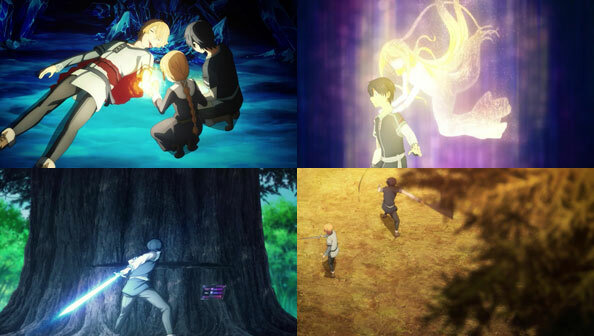 The next day, while hacking at the tree, Eugeo asks Kirito to train him in swordsmanship; Kirito tells him he is a master of the “Aincrad style”, in reference to his time in SAO, and a brief training montage ensues. 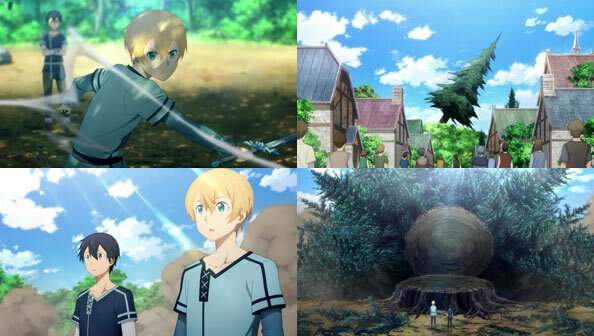 At the end, Eugeo can summon a Sword Skill in the Blue Rose Sword, and the vitality of the Gigas Cedar has dropped to the point it only needs one more good strike to fell it, a strike that Eugeo executes, bringing the massive tree down. As someone who adores huge trees, it was a little upsetting to see it not only fall but its demise be celebrated, but considering how much of a scourge it is on the village, I suppose I can make an exception. At the post-felling celebration, Kirito encounters Selka and assures her she need not try to catch up with, surpass, or be a replacement for Alice; there are things only she as Selka can do, and she should focus on being the best Selka she can be instead. Selka knows. Eugeo sees her off, apologizing for what she and her family went though and promising to return with both Kirito and Alice. The reward for fulfilling the calling of felling the Cedar is that Eugeo gets to pick his next calling. Thus, he is playing by the rules in choosing to become a swordsman like Kirito. The two set out for Central City, where the plan is to locate and bring back Alice. We’ll see what trials await them on the way to the city, and when they arrive, we’ll see if she’s anything like the Alice who was taken away by that Integrity Knight six years ago.